If you’re still in need of Halloween inspiration this year then don’t fret! 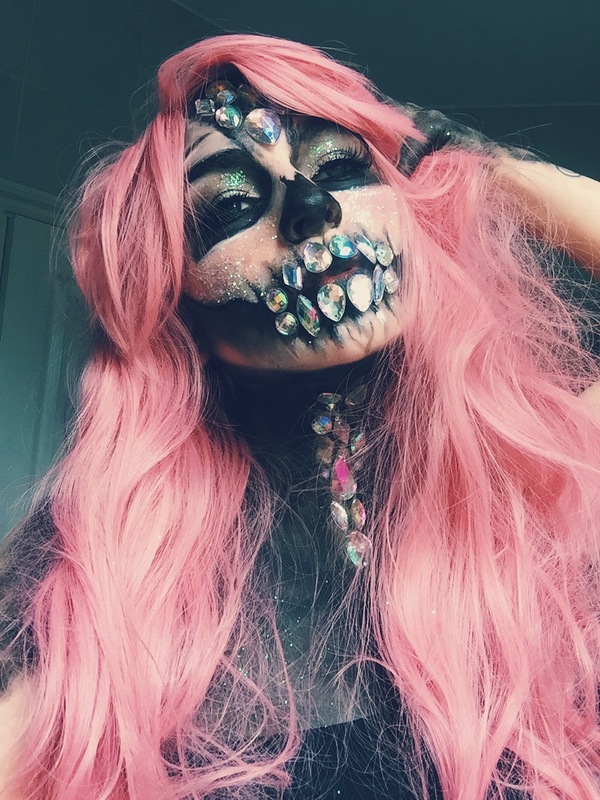 I created 3 glam/spooky looks this year and I wanted to share this glam-jewel glitter skull over here on my blog too! I knew that I wanted my first tutorial this year to be a skull, particularly because I’m still so obsessed with this tutorial I created 4 years ago now! I was inspired by a couple of images I found on Pinterest (namely this beauty by Vic Brocca) and so decided to re-create it with a twist of my own – iridescent glitter and a pink wig! I really can’t express how fun it was to create this look and to play around with so many jewels and glitter! I found the gems, glitter and wig all on eBay & Amazon for really great prices so it’s easy to re-create yourself at home. Do let me know if you try this yourself! I’d love to see your pictures! Have a great Halloween! Previous Post Cracked Doll Halloween Makeup Tutorial! Next Post Galaxy Glitter Halloween Tutorial! Wooh!! 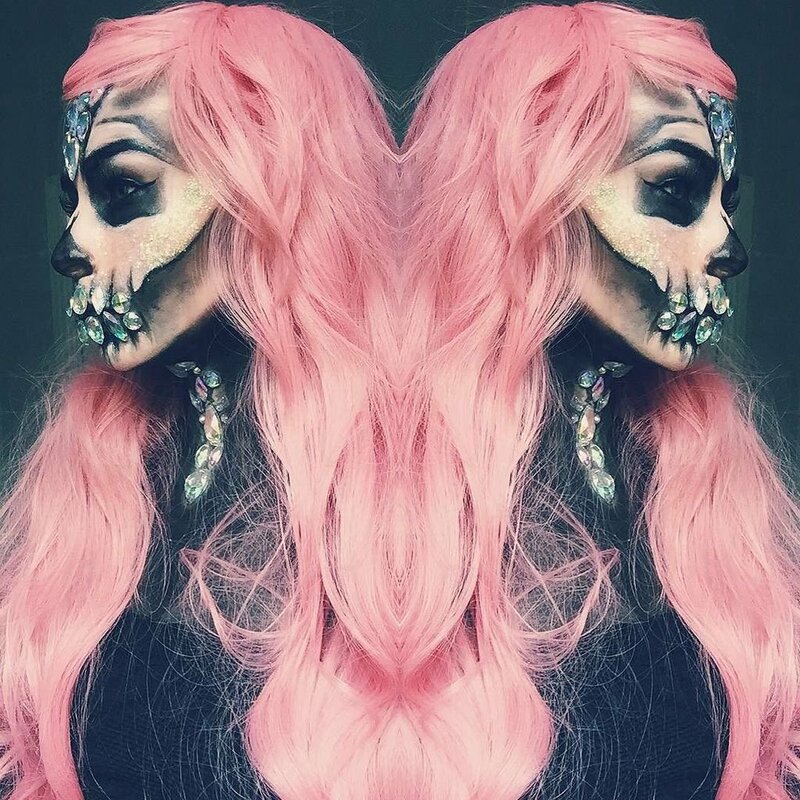 Scary makeup but just perfect for the Halloween 🙂 Wonderful post dear! Such an incredible look Katie! Wow!! This is so amazing!! Love your tutorial!! Gonna save it as the inspiration for next year!